Fractions can be tough! I know! 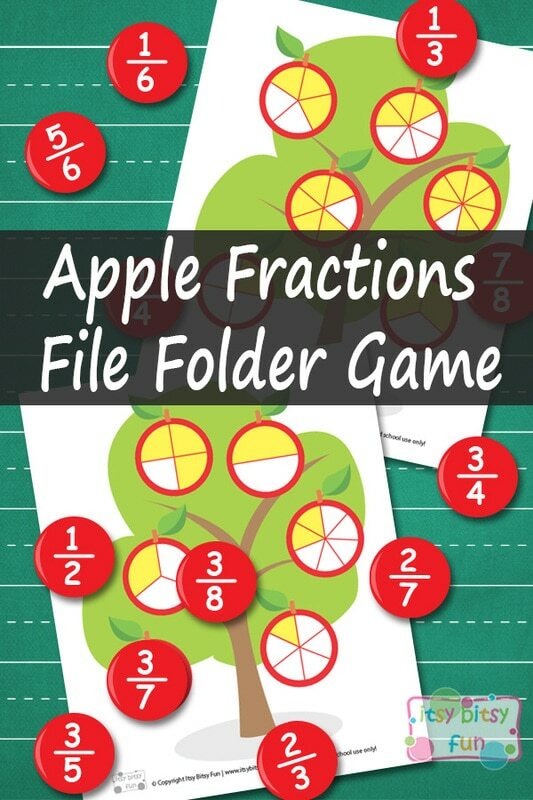 Hope this Apple Fractions File Folder Game will make learning easier and most of all fun! File Folder Games are great for young learners from preschool to first grades of elementary school. Now fractions can be a bit tough to understand and master for most kids (I’ve met a little preschooler that already had a grasp on simple fractals – blew my mind away). A handful of kids in kindergarten might understand them so I wouldn’t recommend this file folder game to this age group (unless they show interest). This game is probably best for Grade 1 and Grade 2 – depending on school curriculum. Bottom line, use these games when your kids learn about fractions :). 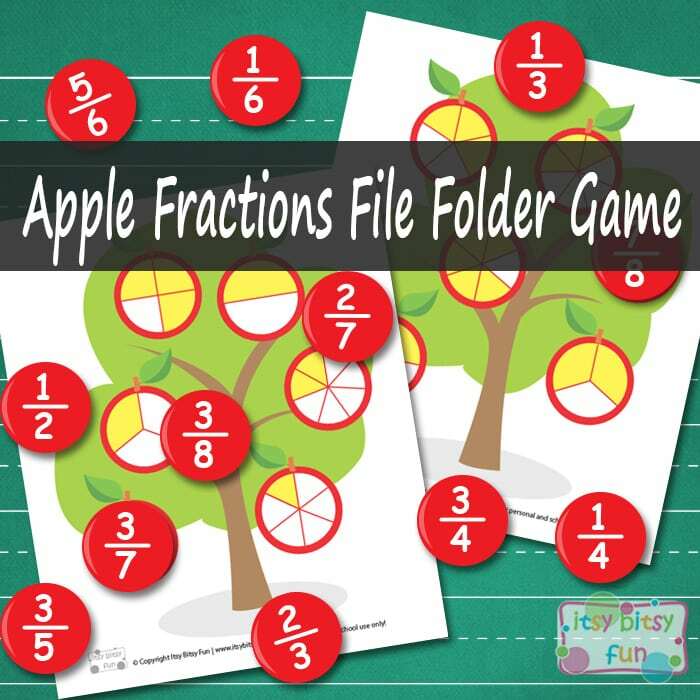 There are 4 pages in this printable game – two with apple trees and a visual presentation of fractions and two pages with apples with numeric fractions. The apples have a 2″ diameter so if you have a more or less standard round paper punch you won’t have to go through much trouble to cut them (if you don’t have it I seriously recommend getting one as they are great for making birthday party decorations, learning thingies, crafts…). Once you have the game set up I really, really recommend that you laminate it to give it longevity. Tip: You could also cut out all the apples and use them as fractions memory game (either visual, numbers or both). Or once the little ones get more skilled with this math subject use the circles and play “What’s bigger” or “What’s smaller”. Hope your kids will like these free printables! If you enjoyed apples you might also like the apple addition file folder game. If pears are more of a thing for you do check the subtraction for kids printable.